Fenwick Fleur ("Flossie") is our lovely British Riding Pony (NPS) by Dawnway Minstrel Man. 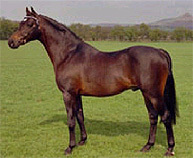 Her dam, Fenwick Lilac Times was sired by Wingrove Minkino (by the legendary Bwlch Valentino). 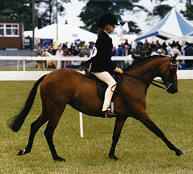 Wingrove Minkino was for many years, in the 1980s and 1990s, the leading pony sire in the country. 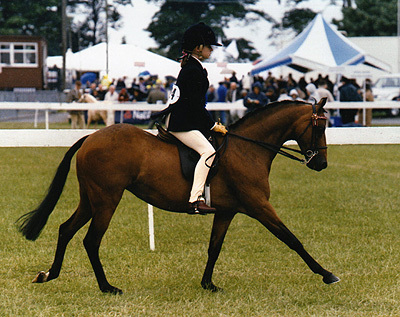 He sired more ponies for HOYS than any other stallion. 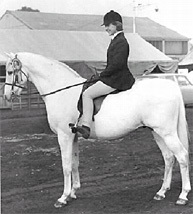 Versatile, he sired Hack Of the Year Foxton Flight, Pony of the year Gaylord Of Keston, Stallion Hamptonne Desert Storm, 13.2hh Mare Keston Rosetta, who in turn produced the Outstanding 13hh SHP Fairholmes Rosettas Rhapsody. Fenwick Fleur is expecting a 2010 foal by Lennards Monarch: Reserve Supreme Championship 2009 at the Festival of Champions held at the Scottish National Equestrian Centre.